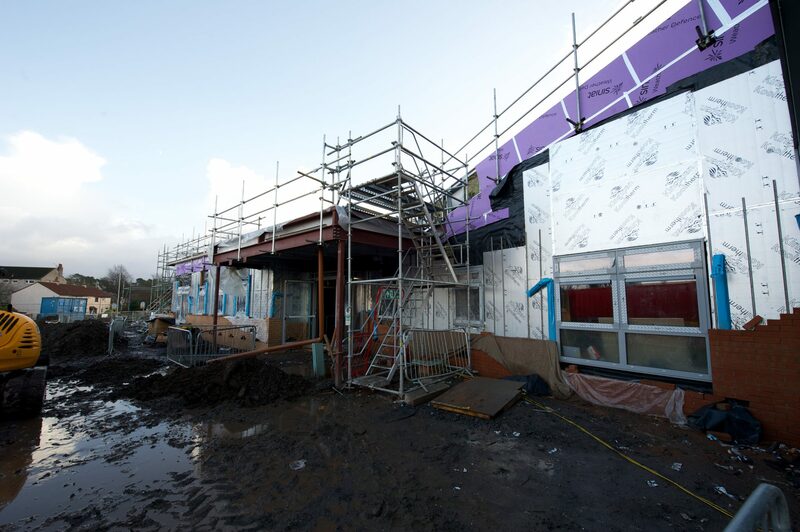 An £8.5m state of the art school campus in Paisley is on track to open for the start of the school term in August. St Paul’s Primary School in Paisley will house 212 pupils, while an integrated communication unit has space for a further 24 at the shared campus, which also includes Foxlea Early Learning and Childcare Centre. It has capacity for 80 pre five children while an adult learning and literacy centre can house up to 10 students. 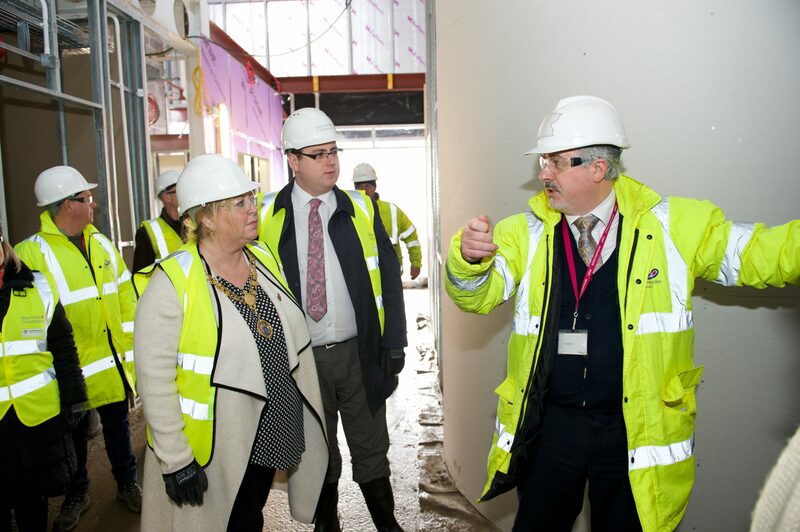 Renfrewshire Council’s Education and Children’s Services Convener Jim Paterson and Depute Convener and Provost Lorraine Cameron, visited the construction site to see progress of the new build campus for themselves. All formal learning spaces link directly to covered outdoor spaces which, in turn connect to outdoor play areas. There is an all-weather sports surface and a forest area where children can create ‘mud kitchens’. Councillor Paterson said: “We are determined to give our children and young people the best learning environments possible to help them achieve their full potential and this campus is a great example of that. “Outdoor learning is central to the curriculum and access to external spaces means that pupils can engage with the world around them. “The school is truly one for the 21st century, with all of the class rooms designed to support modern teaching aids and internet ready. 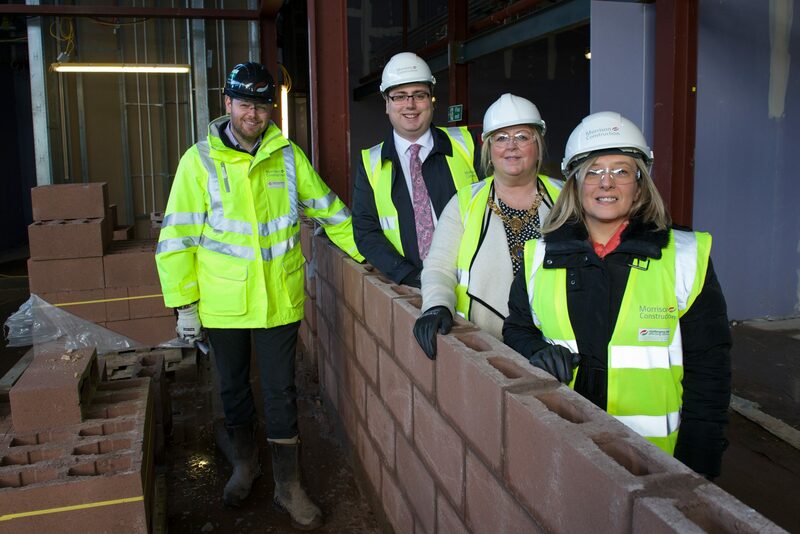 Eddie Robertson, Morrison Construction Managing Director for Central Scotland, said: “We were delighted to welcome members of Renfrewshire Council onto site and show them the great progress we have made to date on this fantastic new building. ‘‘The project is moving forward on schedule with the internal fit out well underway.